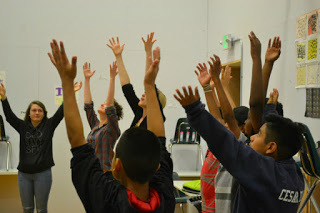 An after school workshop at PAST&E, in Portland, OR. Boom Arts’ presentation of She is King was a major cultural event and community project rolled into one. Here is our story!